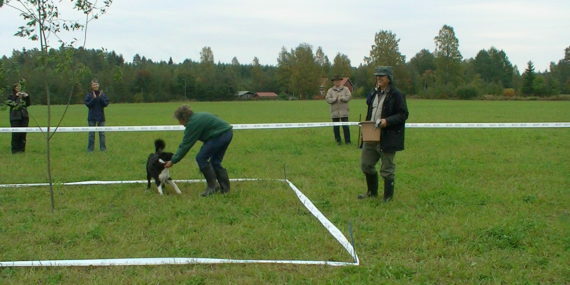 Guiding dog owners in training their dogs for hunting truffles. Juva Truffle Center (JTC) gives training, consultation and start-up materials for the establishment of truffle orchards for private landowners only based on a mutual written two years (or more) contract. Juva Truffle Center does not have any rights to the truffle crop produced in the area under the contract, but has the right to use and publish the results and photos obtained from the truffle orchard. See our latest price list. Juva Truffle Center has established already 33 truffle orchards in Finland, one of them in Kultaranta (Finnish President Summer Castle), 2 in Latvia and 2 in Lithuania. The biggest truffle orchard in Finland is located in Partala, Juva. We are happy to receive samples of foundations of wild tubers that are picked by Finns from their forest or gardens. During last ten years JTC employees have checked hundreds which are sent to us by Finns in order to find out if they are a real truffle or not. The samples were found in different areas of Finland (see the map below). The most likely time to find Finnish wild truffles is from July until the yearly November depending on the length of the winter and on the spring and summer rains. All the wild Finnish truffles found in Finnish forests and house gardens were white truffles and were collected from under trees other than oaks. Until this year this service is done free of charge by JTC employees. Few truffles species of wild Finnish truffles have been identified and published in scientific international Journals. JTC is nowadays willing to produce different tree seedlings cultivars from Finnish origin inoculated with different truffle species such as T. aestivum/uncinatum and T. melanosporum. JTC will start selling the tree seedlings inoculated with truffle in nearest future with a reasonable price. JTC will sell the seedlings with planting instructions that are suitable for Finland and other countries (video). The first inoculated oak tree seedlings with T. aestivum/uncinatum produced at JTC will be in Market from spring/summer 2017. The produced inoculated tree seedlings will be certified. Our prices will be cheaper than the prices of the imported inoculated tree seedlings. JTC has been organizing truffle safaris for different groups of people every summer since 2013. Also we organize dog safari where we guide the dog owners in training their dogs to hunt truffles. 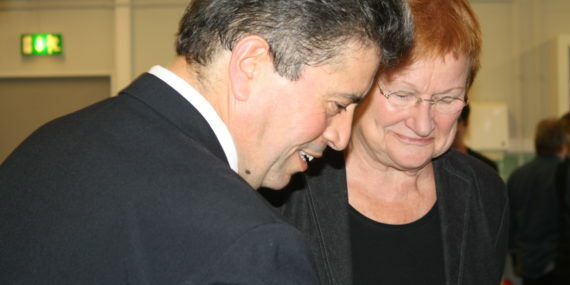 In August 2014 we had the VIP truffle safari whereas President Tarja Halonen, Minister Olli Rehn, Ambassador Tanja Jääskaläinen etc. were our guests. Several truffle safaris were arranged by JTC for our clients during 2014 and 2015. 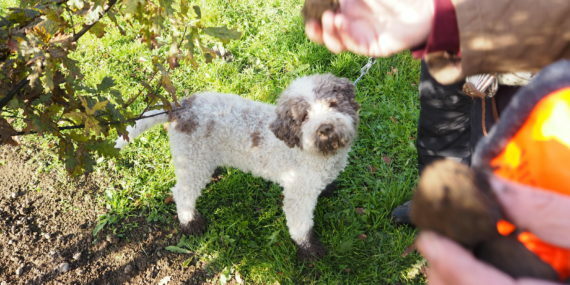 In summer 2015 JTC had more than 30 lagotto romagnolo dogs with their owners for practicing truffle safari. During the safari, all dogs were practiced the truffle hunting in JTC´s truffle orchard. All dogs were willing to hunt the targeted hidden truffles after the instructions that were given by our employees to dog owners in training their dogs to hunt truffles. The JTC´s truffle safari includes the following activities: The safari program which lasts up to 4 hours includes oral presentation about Finnish truffle orchards, demonstration the truffle mycorrhizae under light microscope, Finnish, Italian and French truffles, dog hunting truffle show in our orchard and then lunch whereas truffle is in main dish and in Butter (link). JTC offers truffle safari program for all kind of groups as friends, families and companies and Institutes groups. We also offer the guiding and instructions to dog owners during the truffle safari how they train their dogs to hunt truffles. During dog safari, the dog owners will receive a piece of truffles to train their dogs.